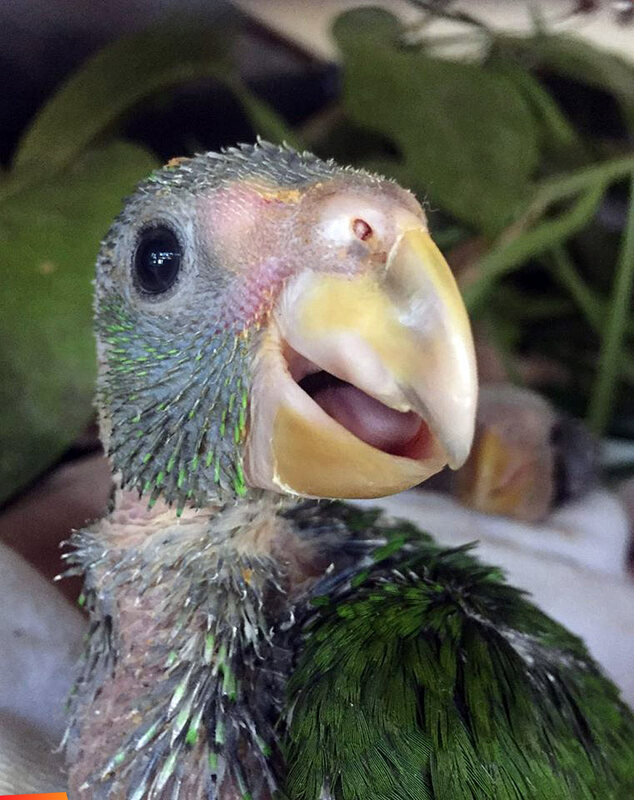 This white fronted parrot chick and his siblings were found on the ground next to a down tree. They showed bruises, depression and signs of head trauma and no parents were found. Unfortunately one chick was dead on arrival at BWRC (necropsy revealed internal bleeding). But thankfully the remaining 2 babies responded well to treatment. 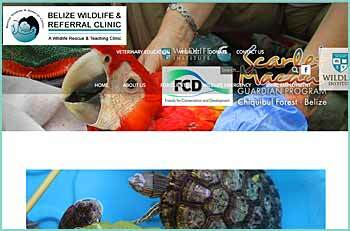 They recovered within a few days and after completing veterinary treatment they were transferred for rehabilitation to Belize Bird Rescue. 1. Please make sure no wildlife is living in a tree that you are planning to cut. And check after cutting trees (as you may have missed somebody living in the tree...). 2. Fallen nests can often be re-attached, relocated or replaced and the parents will continue to care for the babies. 3. Avoid kidnapping! Before "rescuing" and removing suspected orphaned wildlife, please ensure that they are truly orphaned and need help: call an expert before intervening. How can we help you? The BWRC phone number 615 5159 is staffed 24/7 to help you prevent accidental "kidnapping", assist injured wildlife, as well as to assist you with advice for problem wildlife in order to minimize human-wildlife conflict. How can you help BWRC? Donate via paypal to US 501c3 [email protected] with the subject BWRC, check out our wish list or contact us to learn more about wildlife rescue and volunteer opportunities. For example: BWRC often needs help bringing injured animals to the clinic and pet carriers are always in short supply. There is few things we don't need and if we don't use it we usually can pass it on to our partners, other animal organizations or colleagues. Our work is only possible thanks to your support! Thank You!